First the (relative) good news: New Hampshire ranks 18th in overall monthly energy costs according to analysis by WalletHub.com. Being in the top 20 for energy bills isn’t something to celebrate, but given how high energy prices are in New England in general–and New Hampshire in particular–it’s not bad. What is bad is New Hampshire’s ranking on natural gas prices: The 5th highest in the U.S. This is a real problem. Nearly half of all New Hampshire households rely on fuel oil as their primary heating source. Fuel oil is both expensive and environmentally unfriendly. The obvious upgrade is natural gas, which is both clean and cheap. Well, outside New Hampshire it is, anyway. Why not here? 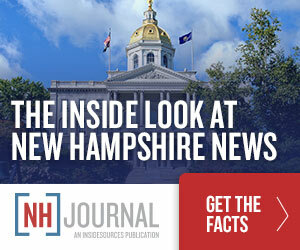 And by “infrastructure,” he means “pipelines.” As NHJournal has reported, New Hampshire environmental activists have joined the “No Pipelines” movement, artificially restricting access to US-produced natural gas that could both drive down costs and reduce the state’s greenhouse gas footprint. Liberty Utilities has proposed the new Granite Bridge pipeline which, according to Shore, will “open up diverse new supplies of natural gas in order to lower energy costs for New Hampshire customers.” At the same time, overall natural gas use in the US is up and natural gas is expected to generate a near-record amount of electricity across the country this summer. But New Hampshire ranks 48th in per person consumption of natural gas. In other words, most of America is taking advantage of the natural gas boom to save money and lower CO2 emissions, while New Hampshire is being left behind. Ratepayers are stuck paying more, businesses feel the pressure from high energy costs–and the only reason is a lack of political will to expand access to natural gas.